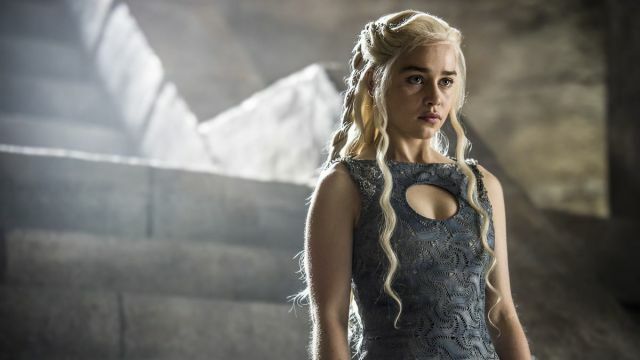 Game of Thrones: Our favorite Daenerys Targaryen cosplays – AiPT! These Daenerys Targaryen cosplayers look so much like the real thing they’ll have you saying ‘Khaleesi.’ Or something like that. Love or hate her, we can all agree that Daenerys Targaryen has seen her fair share of triumphs and hardships. She’s been a slave, sold off and married to foreign warlords, fallen in love, conceived and lost a child, discovered and raised dragons, presided over conquered city-states and more; despite her trials and tribulations, Daenerys has remained strong and focused in her seemingly destined path to rule the Seven Kingdoms and that’s part of what’s made her so beloved among her fans, especially cosplayers. Did she steal that costume from the Game of Thrones set? Because it’s astonishingly accurate. Couldn’t find her name, but loved the air of Targaryen confidence that she exudes. The hair could be a little more accurate, but it’s nice to see someone go for the Mereen look from Season 4, Episode 10. We’ve featured Norwegian cosplayer Starbit’s awesome Daenerys cosplay in the past and we’re still every bit as impressed as the first time we saw her. Oh yeah, she recreated the stallion heart-eating scene. Daenerys Targaryen, the First of Her Name, Queen of Meereen, Queen of the Andals and the Rhoynar and the First Men, Most Fleeky Makeup Artist in the Seven Kingdoms. Which Daenerys cosplayer is your favorite? Want to share a Daenerys cosplay of your own? Let us know in the comments.